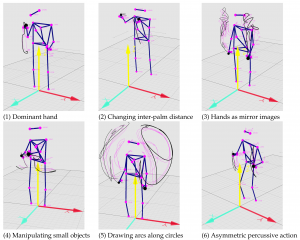 We have done several sound-tracing studies before at University of Oslo, and here is a new one focusing on free-hand sound-tracings of melodies. 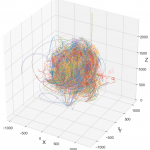 I am happy to say that this is a gold open access publication, and that all the data are also available. So it is both free and “free”! 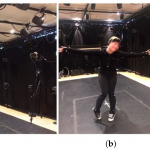 In this paper, we report on a free-hand motion capture study in which 32 participants ‘traced’ 16 melodic vocal phrases with their hands in the air in two experimental conditions. Melodic contours are often thought of as correlated with vertical movement (up and down) in time, and this was also our initial expectation. We did find an arch shape for most of the tracings, although this did not correspond directly to the melodic contours. Furthermore, representation of pitch in the vertical dimension was but one of a diverse range of movement strategies used to trace the melodies. Six different mapping strategies were observed, and these strategies have been quantified and statistically tested. 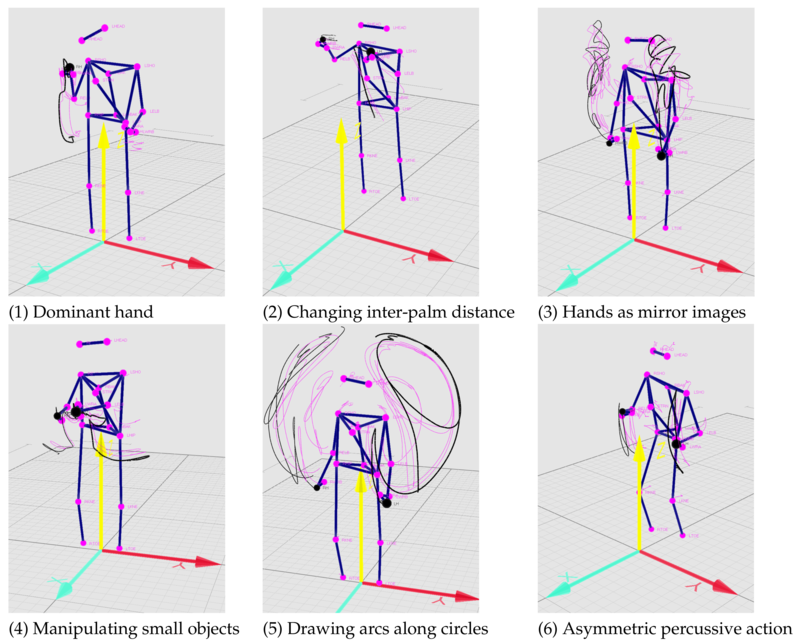 The conclusion is that metaphorical representation is much more common than a ‘graph-like’ rendering for such a melodic sound-tracing task. 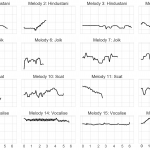 Other findings include a clear gender difference for some of the tracing strategies and an unexpected representation of melodies in terms of a small object for some of the Hindustani music examples. 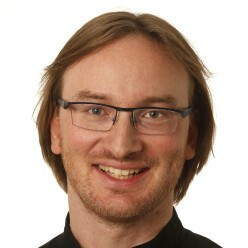 The data also show a tendency of participants moving within a shared ‘social box’.